Is that a fat guy joke? Ok.. So got a used trailer couple weeks ago.. Went to plug in the battery charger to make sure they were ready to go. Its a diehard PICTURE Looks just like that one..
Set it to 12v deep cycle/2amp charge.. The next morning went in and charger said ERROR on the screen.. turned lights on in the trailer and could watch them go dim to dead in a couple of sec. Batteries are from les shwab, bought in 2011 (will have to look at size) Hooke PP to NN for a series.. So think the batteries are bad or charger??? To test batteries they have to be charged right?? Is there a way to test the charger??? 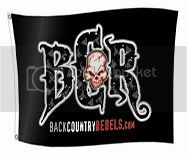 Thanks for checking out BCR. Pm me for any questions/comments you might have about the site. Sounds the batteries have gone dead and been frozen and broke internally at some point. Take it to any auto parts store and have them test them. They should do it for free. Only takes a couple of minutes. Two things .... First, got a multimeter? One that can measure volts and current? Second, another battery charger or tender? What may have happened is the battery was already below the "acceptable" level for the charger to actually charge a battery. Most chargers will do a precharge cycle to slowly bring the battery up to its rapid-charge/CC threshold. This precharge has a timer, if the battery stays below the CC threshold for longer than the length of that timer the charger will throw an error. In this case, charge the battery up and put it on the maintainer again, see what happens there. Another thing you can do to check functionality of the maintainer is hook up the multimeter to the battery's terminals with the charger across it. Measure the battery voltage with the charger off, you'll probably get some lower voltage, say 11.4 volts. Connect and plug in the maintainer, with no load on the battery you should see the voltage increase a couple hundred mV. As the battery charges, the voltage will increase to some level (probably around 14V). Once the battery hits this level, it enters a constant-voltage (CV) charge cycle. The battery's usually about 80% charged at this point. The charger will ramp down current so the battery holds that 14V until current finally approaches zero, at which point the charger is "done" and just trickle-charges the battery. The project I've been working on at work the past two months is a charger/maintainer/conditioner for the LiIon batteries in a couple of our products. Could also be this. A full-on battery analyzer will have to charge the batteries before it can do a load test and give you the amp-hour (capacity) reading of the battery. If that big battery's dead, the test will probably exceed an hour. Upside is when it does finipsh, the battery will be charged. Did that with my truck's battery a couple of years ago, about a year after I bought the battery... a couple of electronics in my truck were left on and I came out to a dead truck battery one morning. Battery tested good and a charged battery was all I needed to get the truck runnin again. But yeah, if the charger checks out it might be worth a trip to the car parts store for a good battery test. AutoZone/Checker/etc tends to just have the big resistive load testers and a charger, where CarQuest/Napa seem to have the better analyzers. Think i'm going to pull the batteries and take them too an auto parts store.. I have a multimeter.. but what mule said is chinese to me..
Ok got the batteries to auto zone this afternoon... Batteries no good.. wouldn't hold charge.. That dude claimed they must have been dead and froze.. So here is the million dollar question... What a good battery to throw back in??? Ive always ran interstate deep cycles in boats/Rv stuff.. Should a person go with a deep cycle or a regular car battery?? Deep cycles are meant to be discharged and recharged. Go with them, Costco usually is about the cheapest around here, or get a couple from the Pete/Kw dealer. They are Heavy Duty and less prone to vibration issues. Towing RGM'S Doo home since 2003!!!! Last edited by Graveler; 12-09-2012 at 08:13 PM. Spend the money and get a pair of six volts golf cart batteries . They will last MANY times longer than the best 12v batteries. Both in holding a char ge, and in useful life. I'd go with a deep-cycle for trailer use. Car batteries are designed for high current output for short periods (like starting the car). Once the car's started, the electrical system recharges the battery and there's not a lot of load on the battery. A deep-cycle battery is built to handle lower current loads for longer periods of time. The plate stack and chemistry is also designed to be discharged deeper than a regular car battery and still recover, so you get more energy out of the battery. In my trailer, I wanted the battery to be removable so I could keep it in my garage while my trailer's in storage. With it plugged into the tender, it's at 100% charge and ready to go when I am and I don't have to worry about it freezing.